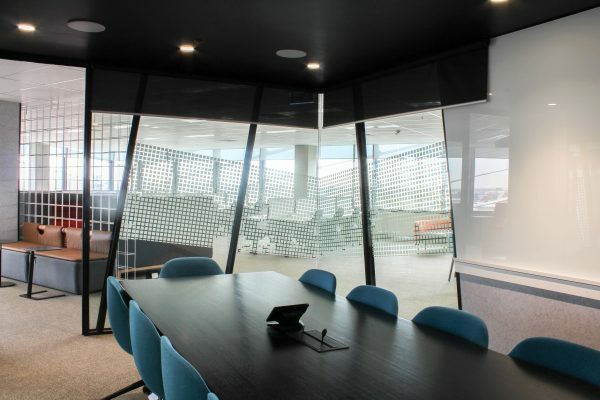 iHarvest has great areas for working and collaborating, contemporary furnishings, natural light and great views! iHarvest has 24 sit-standing adjustable desks on an area of 300 sq. m each. Power and Wi-Fi access is available and there’s enough desk space for you, your laptop and reading material. A meeting room with AV, whiteboard and Wi-Fi is available in the iHarvest private meeting room. There’s capacity for 10 people and part-time and full-time members can book the space for a maximum of 3 hours. There’s more than one way to work, meet or just chill-out while you’re coworking at iHarvest. There’s collaboration spaces and a great campfire lounge when you’ve had enough of sitting or standing at your desk, or head to level 6 for sunshine and fresh air on the terrace. The workshop and training area seats 30 people and iHarvest part-time and full-time members are welcome to attend events programmed in the space. 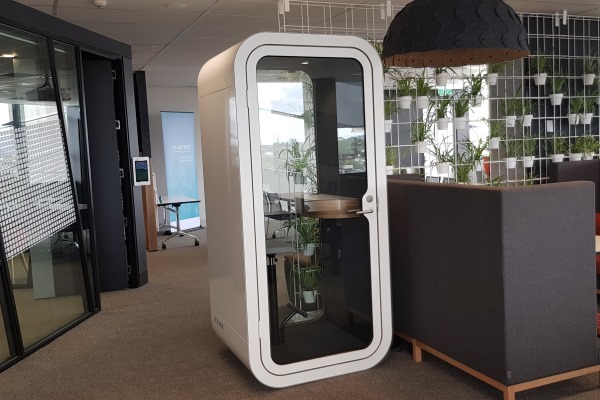 The soundproof phone booth provides you with a space for your private phone or online calls without having to leave the coworking space. 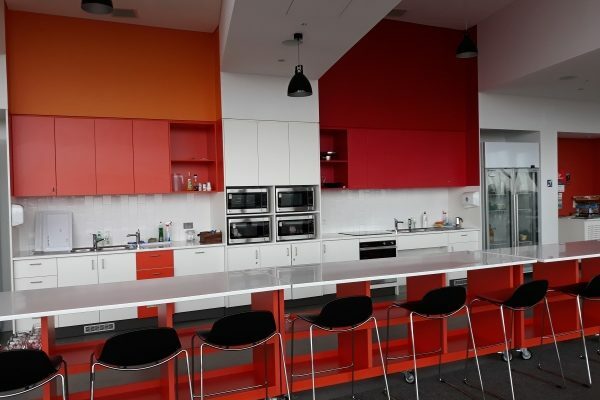 A separate kitchen area with basic facilities and outdoor terrace with views to the city is located on level 6 and is available for iHarvest members to use. The iHarvest community is connected, collaborative and welcoming. 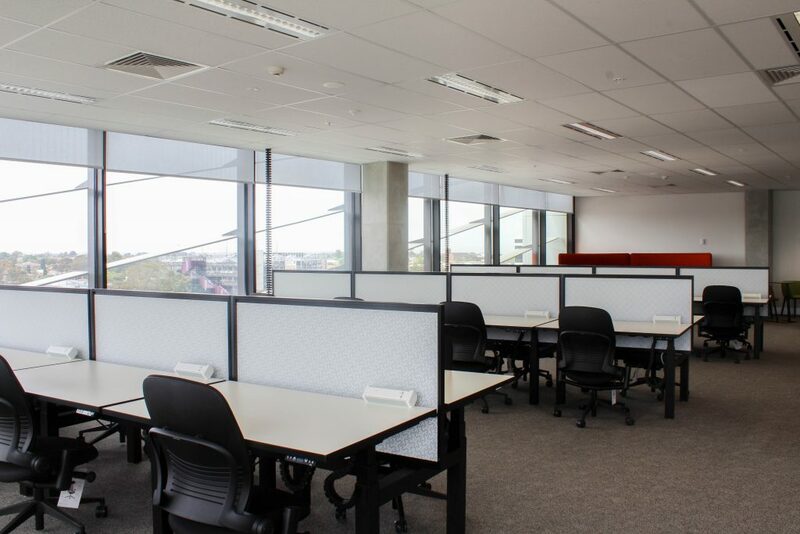 If you’re starting up or building your business, iHarvest Coworking Sunshine provides you with the freedom and flexibility to choose a membership option that suits you, access to high speed broadband, proximity to public transport, gym facilities, public library, cafés and restaurants. Membership includes access to the coworking space, meeting room with AV, kitchen facilities and a whole new entrepreneurial network. All users of iHarvest Coworking Sunshine are required to confirm they have read the Terms and Conditions and undertake an induction as part of the application process. Coworking trial days are held every month, please register to attend. If the date doesn’t suit, please contact iHarvest to arrange an alternate day to try out the space. Casual membership is available from Monday to Friday, from 8am – 5pm. We’d like to make you welcome so please register your attendance. Please refer to the FAQs for membership inclusions. Part-time memberships are available on a month by month basis at $170 per month (8 days per month). Please refer to the FAQs for membership inclusions. Full-time memberships are available at $270 per month (Monday to Friday, 8am – 5pm). Please refer to the FAQs for membership inclusions. Subscribe to iHarvest eNews to keep up to date with what’s coming up. If you’re starting up or building your business, iHarvest Coworking Sunshine provides you with freedom and flexibility, incorporating the best of working from home and being in an office environment. Does my membership including use of the meeting room? Can I book the meeting room if I am not a member? What discounts do you have for students? Does my membership include any discounts? I talk on the phone a lot, is that going to be a problem? Can I book the space for an event? Can I use iHarvest Coworking Sunshine for my business address? 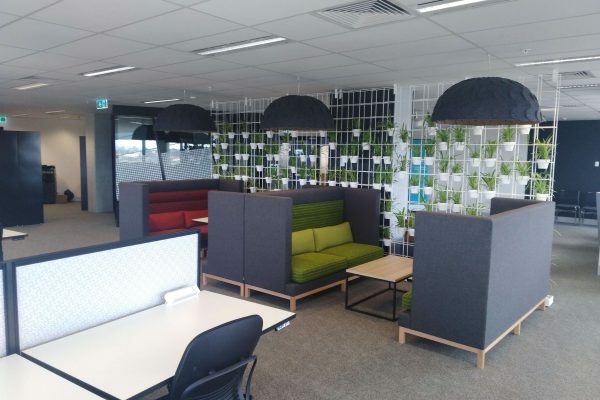 When we receive your membership enquiry, you’ll be invited to have a coworking trial day at iHarvest. If you like what you see and you’re keen to spend more time with us we’ll go through the sign up process with you. Membership includes access to the coworking space, workshops and meetups, kitchen facilities and a whole new entrepreneurial network. Students are offered a discount for membership. All users of iHarvest Coworking Sunshine (including coworking trials, casual, part-time and full-time members) are required to confirm they have read the Terms and Conditions and undertake an induction on arrival. Please refer to iHarvest Terms and Conditions. Check out www.iharvestcoworking.com.au or contact info@iharvestcoworking.com.au for more information about becoming a member. Yes, all members have access to the meeting room for a maximum of 3 hours according to the conditions of their membership. No, the meeting room is only available as part of your iHarvest membership. Part-time and full-time memberships include access to all iHarvest program events. No, our space operates on mutual respect. 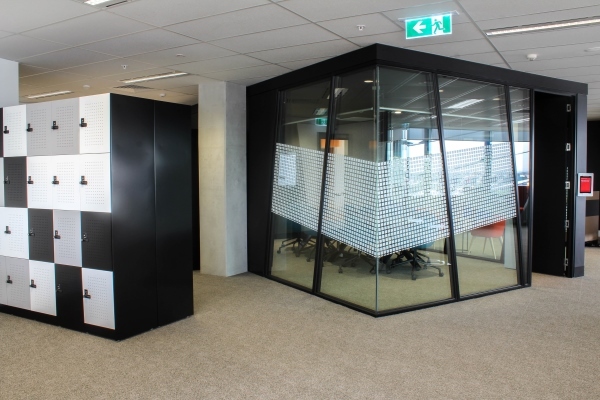 If you are having a private conversation, you can head to level 6 or step into the phone booth! 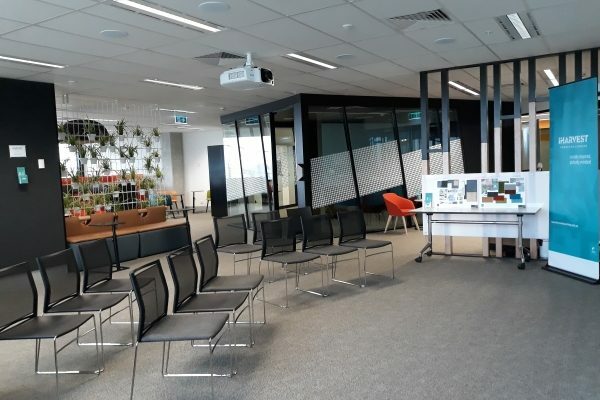 The coworking space is not available for event bookings. iHarvest Coworking Sunshine is open Monday to Friday from 8am to 5pm. No, iHarvest does not have a mail service. A vibrant and affordable coworking space for start-ups, entrepreneurs, freelancers and business.